This is a C2 post. There was no payment for this post. I've now seen two children through their first dental visits, which in blogger terms means I'm now qualified to tell you how to attempt it with your own children. HA! 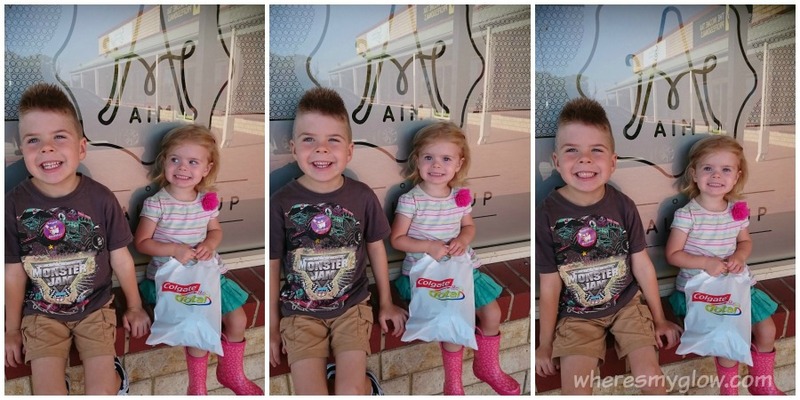 But rather than just take my quasi-tips as gospel, I've actually teamed up with a Perth Kids Dentist, Aim Dental, to let you guys in on some of the insider info from a dentist and a mum perspective on everything from first visits, losing baby teeth and more. Show them that dentist scene in Willy Wonka. You know the one? Where Willy has gigantic braces on, isn't allowed to eat lollies and is abandoned by his dentist father. That one. Yeah, maybe skip that. Show your fear. Are you afraid of the dentist? I can relate, I wouldn't say I'm scared, but I'm definitely not waving any pom poms. Hide it. Bottle it up. In the words of Elsa, "conceal, don't feel, don't let them know". Kids are like dogs, they can smell your fear, try not to transfer your fear to them. Give your kids sugary fizzy drinks and sugary food. You'd think that was a given, but it's not. 41.8% of 5-6 year olds in WA have dental decay in their baby teeth, and 39.6% of 12 year olds have decay in their adult teeth, mostly due to a combination of fizzy drinks, sugary treats and not brushing properly. Let your kids brush their own teeth. Little kids can't brush properly by themselves, so you'll have to do it for them. Research shows that some kids will need help up until they are ten. Freak out if they cry, scream, refuse to get on the chair, or refuse to open their mouth! 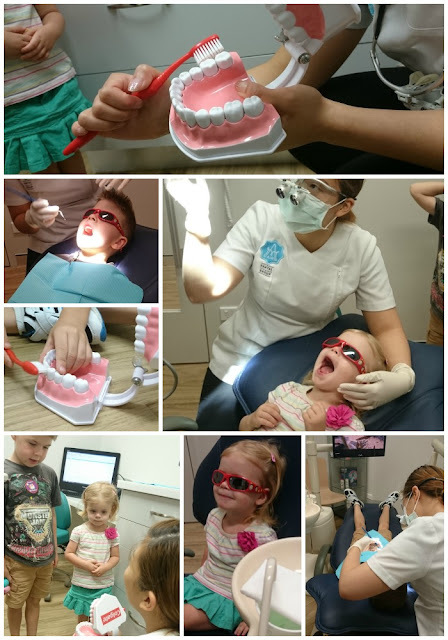 A great kids dentist will have a longer appointment booked for a first go, and will work with you and your child to get the job done, but the calmer you stay, the better. Brush their teeth twice a day! Try your hand over theirs if they want to do it at the same time. Tricky and Bobbin take turns with us - Mum or Dad do it first, then they get to have a go. Read some books about first dentist visits. My two loved Peppa Pig's trip to the dentist where George is scared. You can also hit up YouTube for some first dentist vids but pre-watch them because some are just weird. The image above shows the titles we read in the weeks and days leading up to Bobbin's first visit last month. 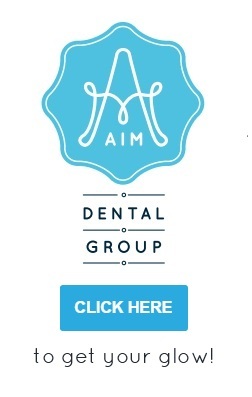 Find a Perth dentist who is great with kids - Aim Dental is really focussed on making kids feel relaxed. From the toy box in the waiting room while they fill out their own super cute client forms (OMG it's adorable), to the funky glasses and cool cartoons on the screen while they are in the chair (never bloody had that when I first went! ), and a goodie bag with a new toothbrush at the end of their first visit, it makes for a pleasant and tear-free experience. Just look at my two! They even had a professional clean - all for the grand price of NOTHING with no gap kids dental with our health fund. Brush and floss your own teeth in front of the kids - it might mean brushing well before your own bedtime and having to do it again, but seeing that you do it too and aren't just forcing them to do it can be really beneficial. 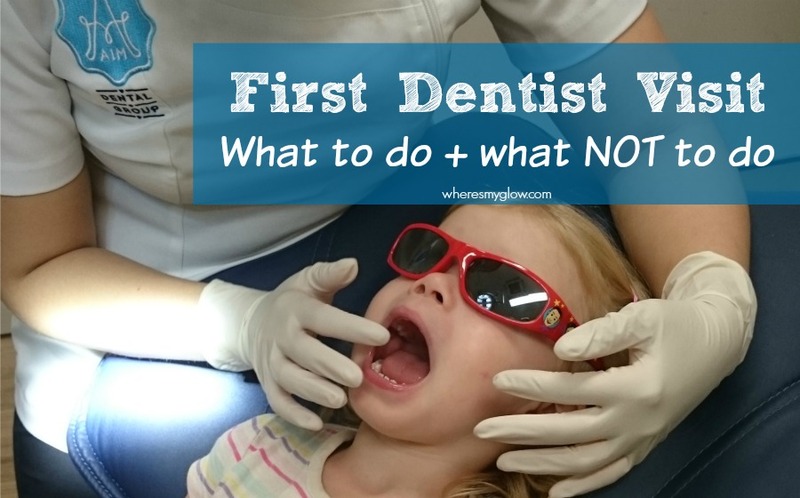 Reward their first trip to the dentist with something that isn't food! A trip to the park, a picnic, bowling, half an hour on the iPad, whatever they like! Now that it's over... book in the next visit for six months time. For more details from actual professional people, check out Aim Dental's 5 things to do to get your child ready for their first dental visit.